After a storm, falling, cracked branches or leaning trees can be a huge liability to your home, family and property. If there are any damaged limbs or branches after a storm, it’s very important that inspection/removal of them is done as quickly as possible as they may be in danger of falling at any moment. Even debris on the ground from storm damage can be a considerable hazard which you should not always handle on your own. Fallen tree limbs can be very heavy and sharp, and the handling and disposing of them without the proper tools can further complicate things. Bronx Tree Services has over 50 years of experience cleaning up storm damaged properties, removing tree hazards and providing safety measure tips regarding hazard tree inspections. At Bronx Tree Services Corp. we are here to help. Our tree company can help you rid the debris, fallen trees and unsafe onditions due to storm damaged trees on your property. Severe storms can take a toll on Bronx’s trees. Throughout the Bronx, trees have suffered not only wind damage but also flood damage. Severe storms have killed several thousand trees throughout the Bronx but many of the damaged trees can survive if given the proper care. Tree owners are faced with the dilemma of trying to save or remove damaged trees from their properties. Assessing Damage: Tree owners need to assess the damage dome to the trees on their property. If there is minimal damage or if the structural integrity of the tree is still intact, despite the number of small limbs on the ground, the tree has a good chance of surviving. If there is heavy damage to the trunk or the root structure of the tree, the tree has lost a significant amount of its structural integrity and should be removed for safety reasons. Trees that have been underwater for several days need have an assessment of the tree’s structural stability and then be watched over time to see the real affects the flood had on the tree. With many of the larger storms in the Bronx, flood damage has caused root rot and the death of many trees, making serious hazard conditions for those who live nearby. Hiring a Professional Bronx Tree Company is critical to assess and assist with your storm damaged tree. Tree owners working on their own trees should use extreme caution because removing trees and limbs can be extremely dangerous. Be very careful when hiring people that come to your doorstep, as many of these individuals are not properly trained and do not have insurance to cover any damage that they might cause. Why take chances. 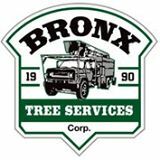 Call Bronx Tree Services Corp and work with a tree company providing services to the Bronx for over 50 years!